As you descend the precariously steep steps into this somewhat concealed cocktail bar, you’ll feel as if you’ve somehow walked into your Grandma’s living room. Flowery wallpaper, vintage furniture, weathered black and white photographs, tasseled lampshades and potted plants fill the den-like room. It would not surprise me if there was a doily or two in there as well! It may give the impression of Grandma’s living room, but unlike the typical Grandma living room the Bourne & Hollingsworth also houses a sizable bar and DJ, plus an array of carefully crafted cocktails, mixed, shaken and stirred by skillful bartenders. Enjoy the quirky surrounds and soak up the 30s prohibition style atmosphere, while sipping gin concoctions from fine china tea cups and fruity cocktails from old mason jars. 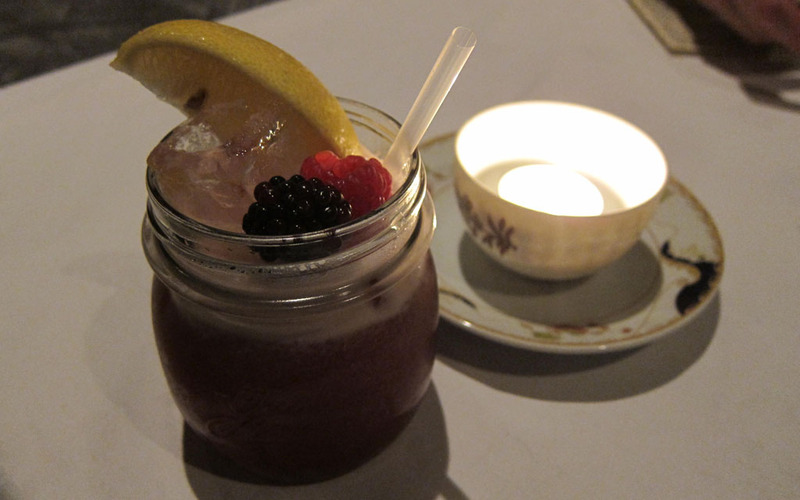 I recommend the Honey Berry Bison (£8.50) – a pleasant mixture of Zubrowka vodka and berries, shaken with lemon, honey and egg white. It’s smooth, sweet and delicious! 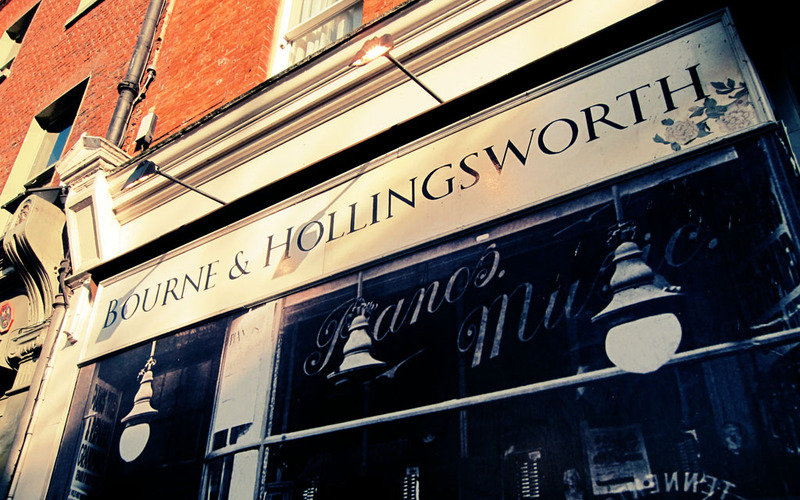 Bourne & Hollingsworth also holds a varied range of events: live bands, film screenings, poetry readings and the like. This place is a great hidden gem! I love the G&T - served in a teacup with a cucumber sandwich.